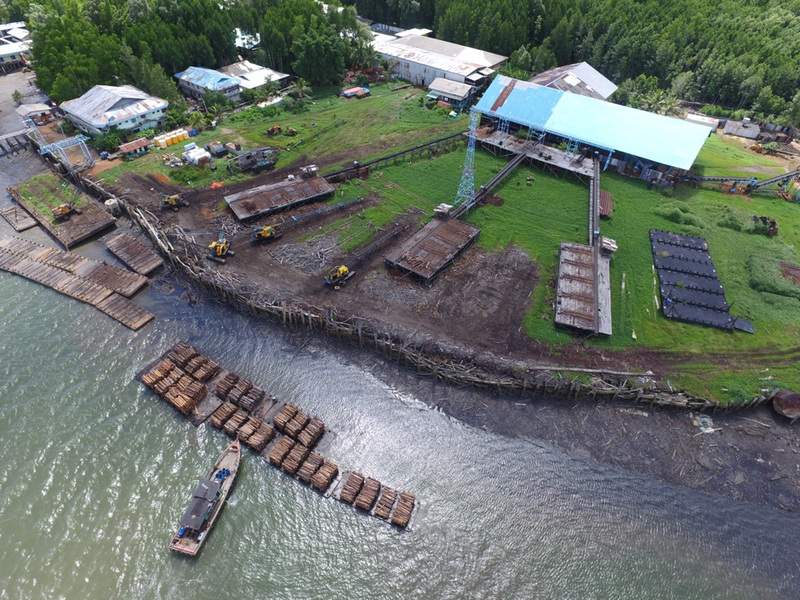 Green Forest Product and Technology has been operating a mangrove chipping plant in Bintuni Bay, West Papua for over 25 years. The operation has an approx. 4 MW energy demand, particularly associated with the wood chipping process. This energy demand is currently met by off grid diesel supply, with high fuel costs and associated greenhouse gas emissions. Green Forest have embarked on a pioneering project to evaluate the potential of meeting some or all of this energy demand from tidal energy. Such a move would be strongly aligned with Green Forest’s wider sustainability principles. Mangrove habitat is increasingly being seen as a carbon sink, for so called ‘blue carbon’ and there are widespread concerns unsustainable harvesting and land management techniques. Green Forest has long understood these issues and has set about its operations in what is believed to be a sustainable manner. This approach relies upon using low intensity harvesting techniques such as the use of manual rather than mechanical labour, installing the minimum of harvesting infrastructure and taking it away when an area has been harvested. The wood chipping site operated by Green Forest lies adjacent to a significant tidal stream with peak power of 2.5m/s or 5 kts. Such tidal currents should be viable for producing electrical energy at cost competitive levels with the existing diesel based generation. Green Forest has approached OceanPixel to manage the project. OceanPixel, in turn, have partnered with Schottel and Aquatera to provide a tidal technology solution. As of writing, the project has been installed and commissioned. A fluke energy data logger was placed in the onshore panel in order to record the performance of the tidal turbine system and OceanPixel is currently monitoring the performance of the newly installed energy converter system.